We all want to be great at what we do. In his book “Drive”, Dan Pink says that one of 3 main motivators for people at work is Mastery: the pursuit of becoming great at a particular craft or skill. I love the word “mastery”. More than “talent” or “anointing,” the word “mastery” points to process. Unlike some other words to describe people who are great at what they do, with “mastery” there is an understanding that you can’t be born with it, that it takes time. Pick something and dedicate yourself to it. Jiro talks about choosing a craft and focusing intently on becoming better at that. His restaurant serves ONLY sushi. No appetizers. No dessert. Only sushi. This is where a lot of us get hung up (myself included). There are so many things we could be doing. Which one do you want to focus on? The process is the destination. As an 85-year old having achieved a 3-Michelin star rating, Jiro continues to improve his craft, saying he has still not achieved perfection. Jiro pays attention and focuses on improving every aspect of making sushi, from the ingredients used, to the cuts made, to the customer experience. 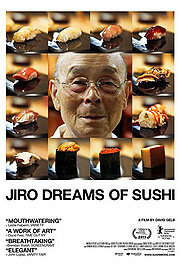 Even all the accolades and victories haven’t changed Jiro’s process. People who know him say that nothing has changed about his daily routine in at least 40 years. Mastery can’t be rushed. Apprentices spend at least 10 years learning the craft of sushi-making at Jiro’s restaurant. And there’s nothing glamourous about the job either, it’s hard work. In the film, one apprentice talks about making (and tossing, presumably) a particular dish 200 times before getting the nod of approval from his boss. Since Malcolm Gladwell’s book, many people talk about “putting in 10,000 hours” to become a master at a particular craft. 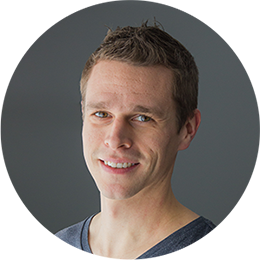 If you’re in your first 5000 of those hours, it’s easy to become impatient with the process. See #2. Know your limits. Surprisingly, Jiro’s restaurant is located underground in a subway station. There are only 10 seats. One could speculate that if Jiro had been intent on building the size of his restaurant instead of developing the quality of the sushi, his story would be a lot different than it is. As it stands, reservations are made at least one month in advance, and prices start at 30,000 yen – that’s over $300 – per person. Mastery inspires mastery. The film talks to some of the fish vendors that supply cuts of fish to Jiro’s restaurant. Each vendor interviewed considered it an honour to be trusted to supply fish to Jiro. His attention to detail pushes his fish suppliers to become better at their craft – recognizing great fish meat.